Many companies made these claims, but I found they fell far from the mark. It was more than just a preference for me – it was a need. With my family suffering from allergies and asthma, we could not find an ideal, non-toxic candle. To that end, I decided to start my own candle company. 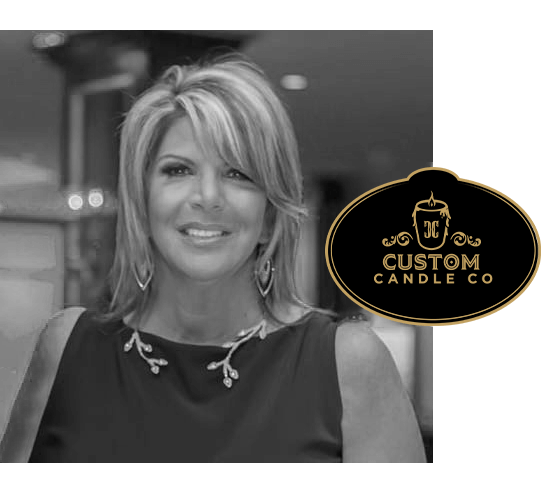 We worked long hours to perfect our candles and scents. We wanted to stay as “green” as possible. We created all-natural candles with great designs by using recycled bottles. We wanted to give the bottles a second life and new purpose, instead of filling landfills. Handmade designs are what I think makes the perfect custom candle unique. All our candles are hand poured and only use all-natural soy in high-quality natural products. Creating a custom design was our goal to set ourselves apart from those who just make claims they can’t deliver. Custom design also lets us spread our creative wings and gives you something special to bring home. The result is what we think makes the perfect candle with a hand-poured the unique production process. The candles are made of only the highest quality, which is what our customers, who are looking for unique specialty gift products, come to expect and deserve. We keep it all-natural and simple, so why complicate the name – and Custom Candle was born.